The Cascade is a monumental architectural composition, it was originally conceived by the architect Alexander Tamanyan (1878–1936). Tamanyan desired to connect the northern and central parts of the city—the historic residential and cultural centers of the city—with a vast green area of waterfalls and gardens, cascading down one of the city’s highest promontories. 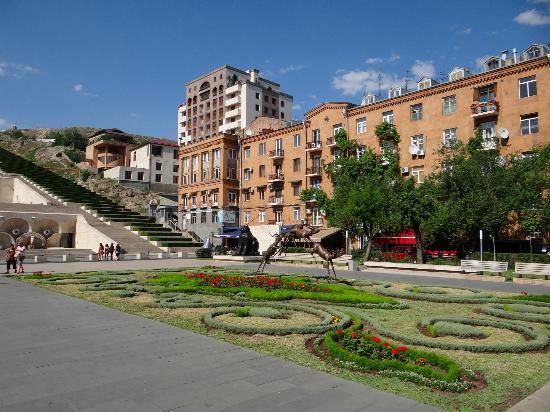 It offers spectacular views of Mount Ararat and the city center. 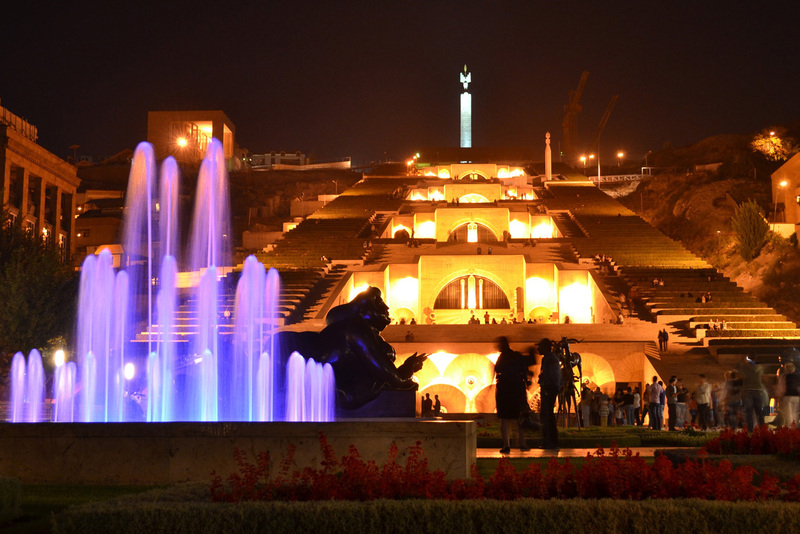 The Cascade is linked with the Opera Square, its horizontal segment of 200 meters length begins at the monument to A. Tamanyan. It is a unique complex with its massive white steps with fountains that ascend through Tamanyan street towards Haghtanak Park (Victory Park). The front gardens display sculptures from the Gerard L. Cafesjian Collection. 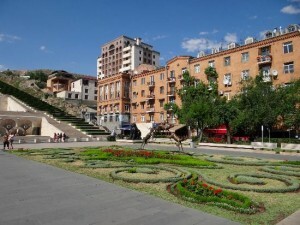 In 1970s, the project was revived by Yerevan’s Chief Architect, Jim Torosyan and his colleagues S. Gurzadyan, A. Mkhitaryan and constructors E. Hakobyan and B. Geghamyan. His conception of the Cascade included Tamanyan’s original plan, but incorporated new ideas that included a monumental exterior stairway, a long indoor shaft containing a series of escalators, and an intricate network of halls, courtyards, and outdoor gardens embellished with numerous works of sculpture bearing references to Armenia’s rich history and cultural heritage. Many tourists are often unaware that the structure has escalators so that they do not have to climb the stairs all the way to the top. The escalators free of charge and it is a much better alternative to climbing up the stares in summer heat. The absolute difference of heights in vertical from the first stage of the escalator up to the last stage totals 100m. 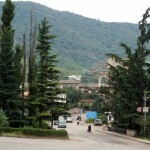 Length of the construction is 500 meters with a width of 50m. There is a Visitor Center at the ground floor of the Cascade, where you can buy tickets to many events that are going to be held in the Cafesjian Center for the Arts. There is a bas-relief on the theme of the epic “David of Sassoon” by sculptor A. Hovsepyan in the second level. At the third level are presented the Armenian hand-made carpet production with ornamentation and a plot based on the works of artist A. Kojoyan. Here is the sculpture of a dove. The third level also includes a small patio; here is located, according to the words of the poet E. Charents, the gilded statue of the Goddess Anahit – Protector of the ancient Armenia, sculptured by A. Shiraz. At the fourth level is placed a monumental painting by M. Saryan – “Hayastan” (Armenia), at the time painted for Opera and Ballet Theatre. The fifth level is a space, closed with rotunda of the 15 columns, symbolizing the historical past of Armenia. It is also highlighted by the 15 springs at each level of the composition. Sundial symbolizes the eternal flow of life. Adjacent to the Visitor Center is located Gallery One demonstrating a variety of exhibitions. The part of the exhibited objects pertain to Mr. Cafesjian’s private collection. Here a large-screen media display provides informational videos about Armenian artists and their artworks not only in Armenia but throughout the world. Museum Store should also be mentioned as far as it includes not only merchandise from all over the world, but also demonstrates outstanding works of such well-known glass artists as Dale Chihuly, Andy Warhol and Isamu Noguchi. 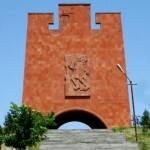 Khanjyan Hall is representing such important events from the Armenian history as the creation of the Armenian Alphabet, the Battle of Vardanank and The Rebirth of Armenia. The artworks of the Czech glass artists Stanislav Libensky (1921-2002) and Jaroslav Brychtov are located in the Sasuntsi Davit Hall and will remain there for a while. The art center also includes Sasuntsi Davit Garden Hall and Eagle Hall and the Special Events Auditorium offering the city’s premier venue for the best in classical, jazz and pop music. Inside the Cascade, you can see the special Arshile Gorky collection and photo exhibit by Beatles’ former wives Cynthia Lennon and Pattie Boyd. 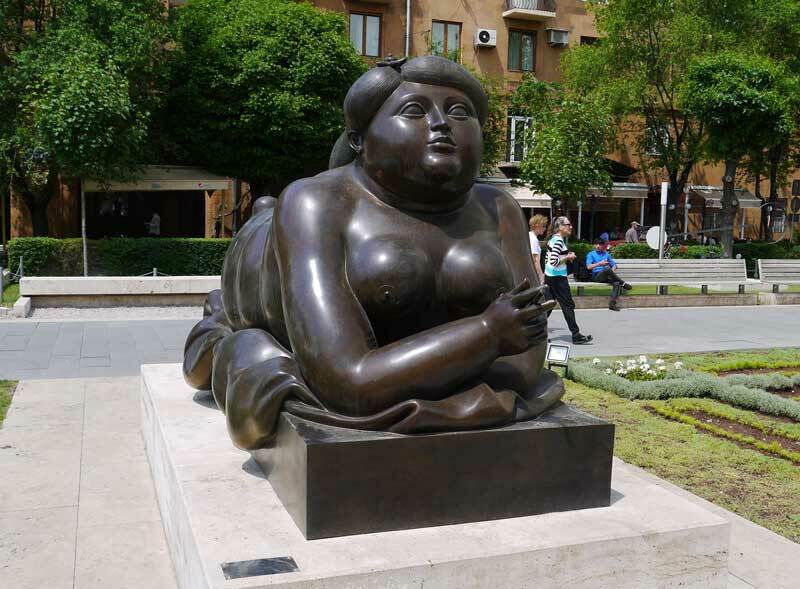 Located at the base of the Cascade is the Cafesjian Sculpture Garden, which presents one of the finest collections of monumental sculpture found anywhere in the world. The Garden’s unobstructed walkways, long vistas, and formal plantings have been specially designed to provide a modern setting for large-scale sculpture by such internationally recognized figures as Fernando Botero, Lynn Chadwick, Jaume Plensa, and Barry Flanagan. There are two statues by Fernando Botero a Black Cat at the bottom and a Roman Warrior at the top platform. 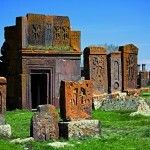 Museum of Aram Khachaturyan is located in 250 meter from the monument of A. Tamanyan, on the Marshal Baghramyan Avenue.